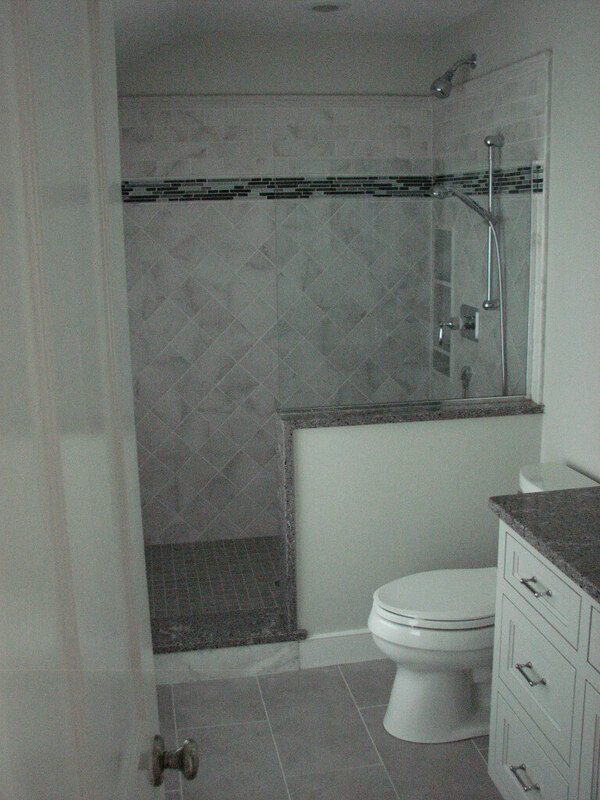 Problem solving was crucial at the outset of this project to configure the limited available space for this new bathroom layout. 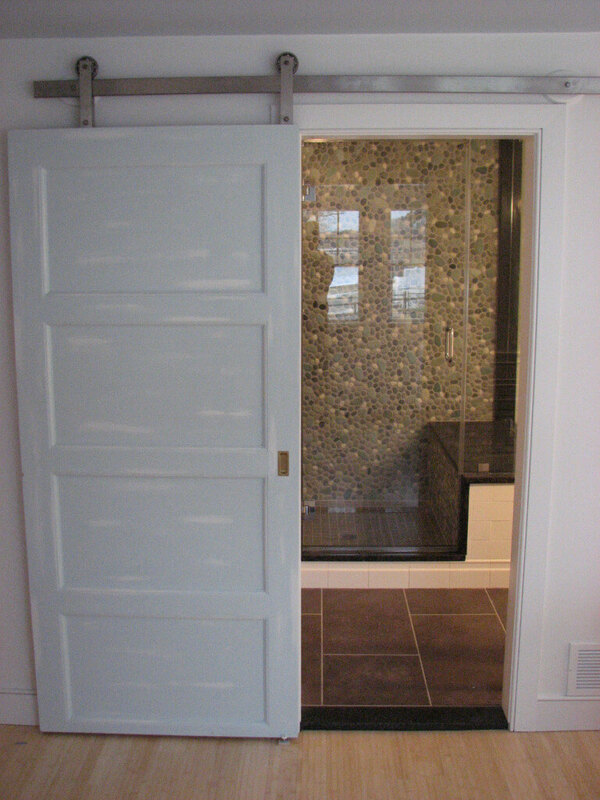 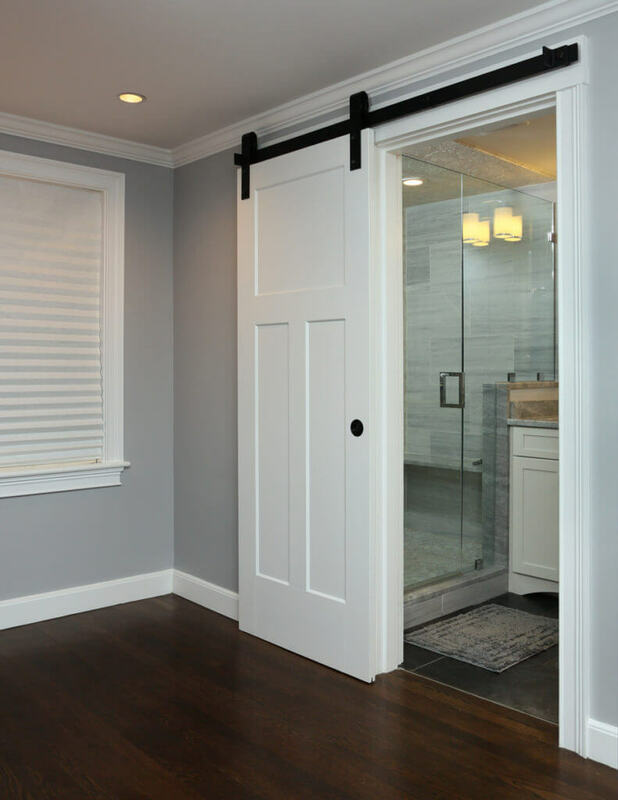 Using a sliding barn door eliminated the extra space needed for a swinging door. 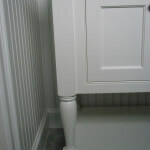 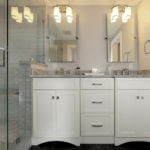 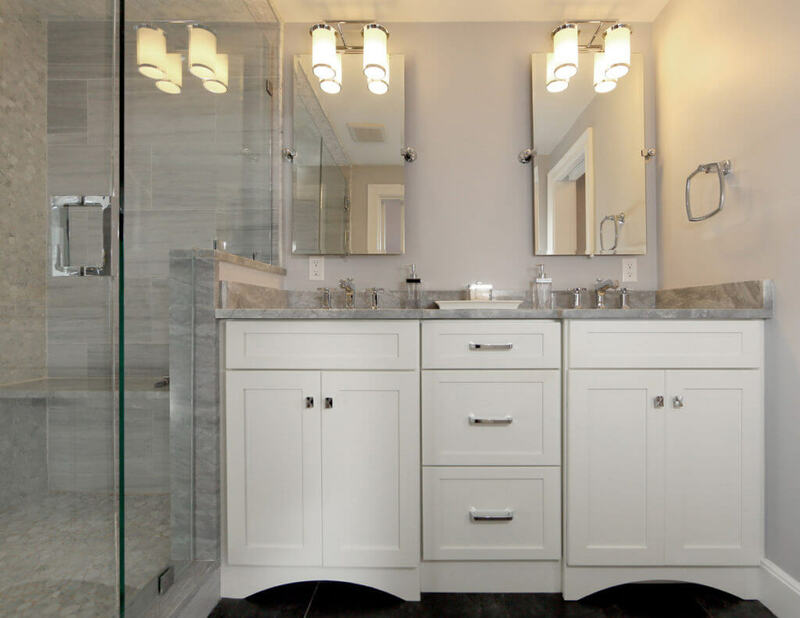 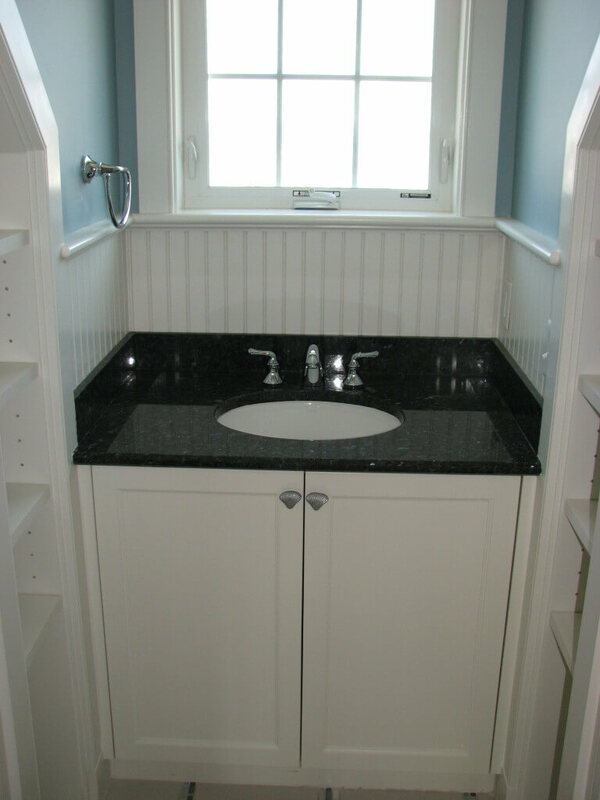 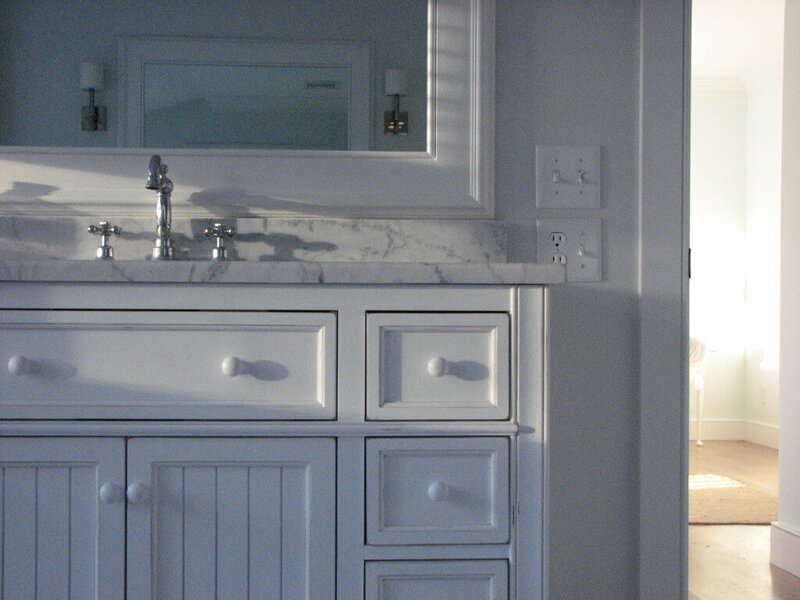 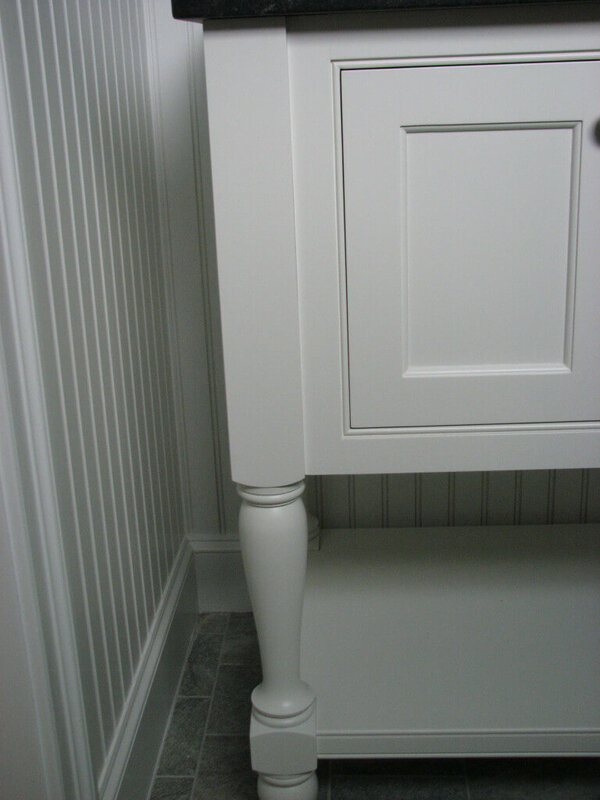 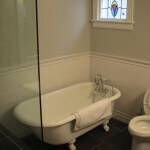 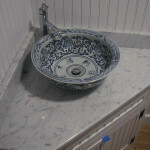 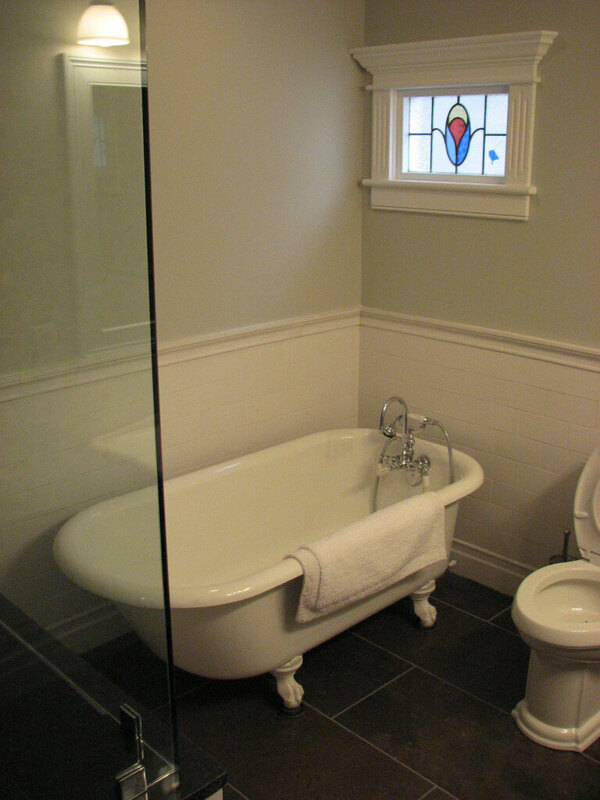 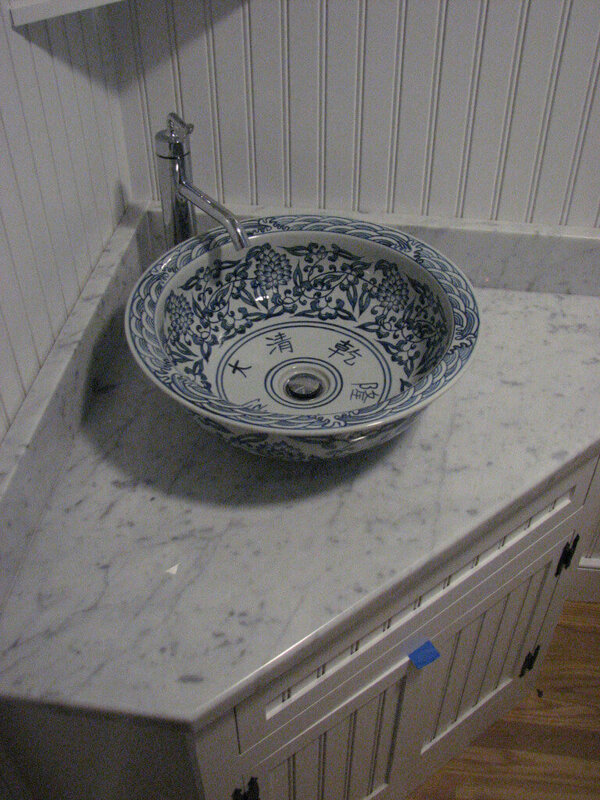 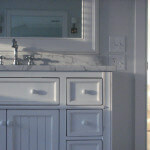 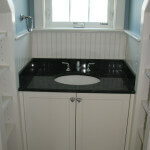 Vanity top designs and a custom fabricated shower threshold were incorporated to create more architectural appeal. 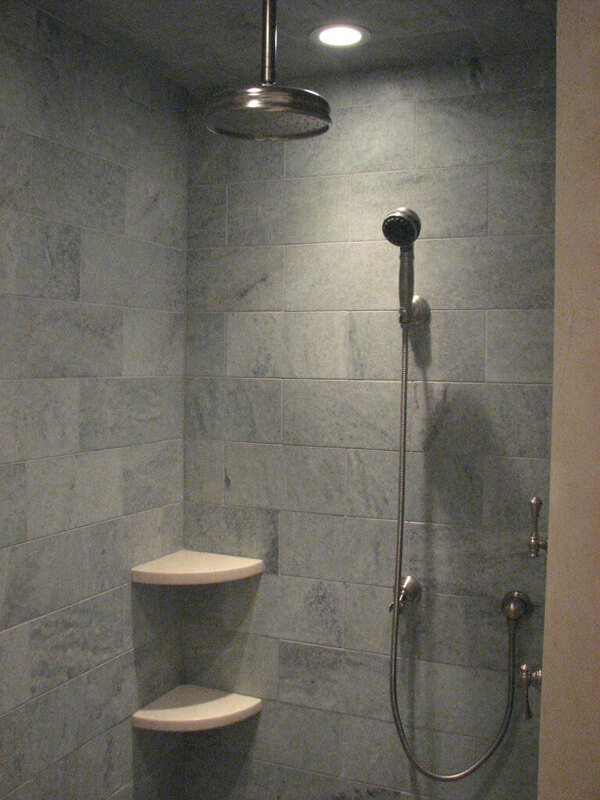 Radiant floor heat added extra warm and comfort to the room. 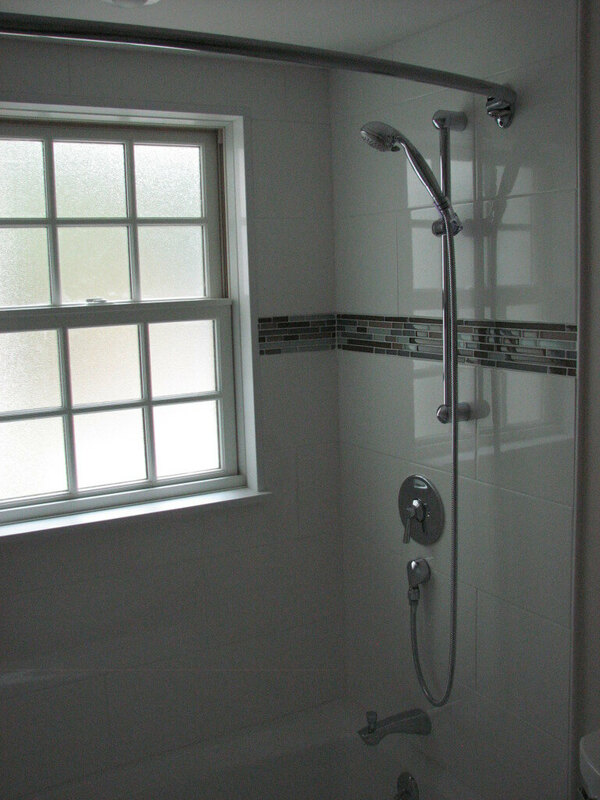 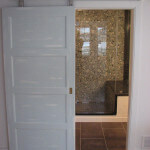 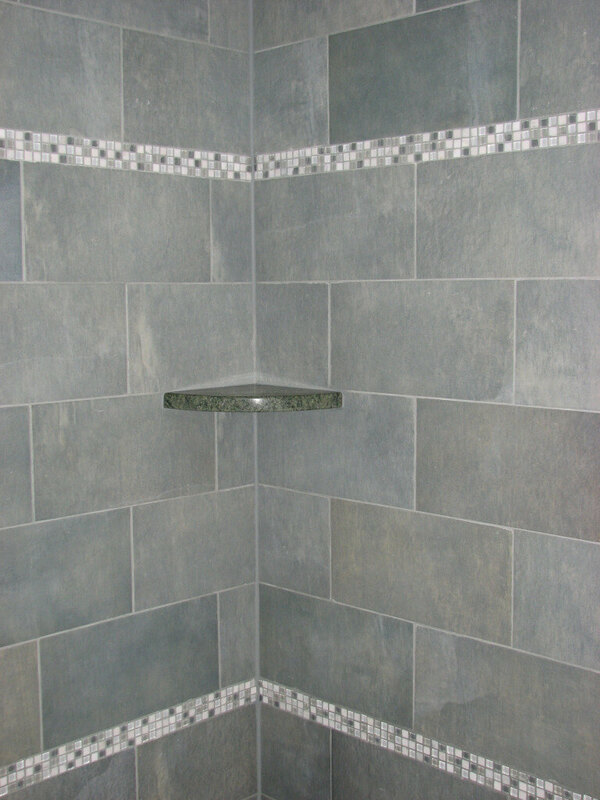 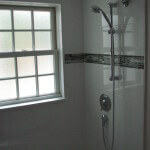 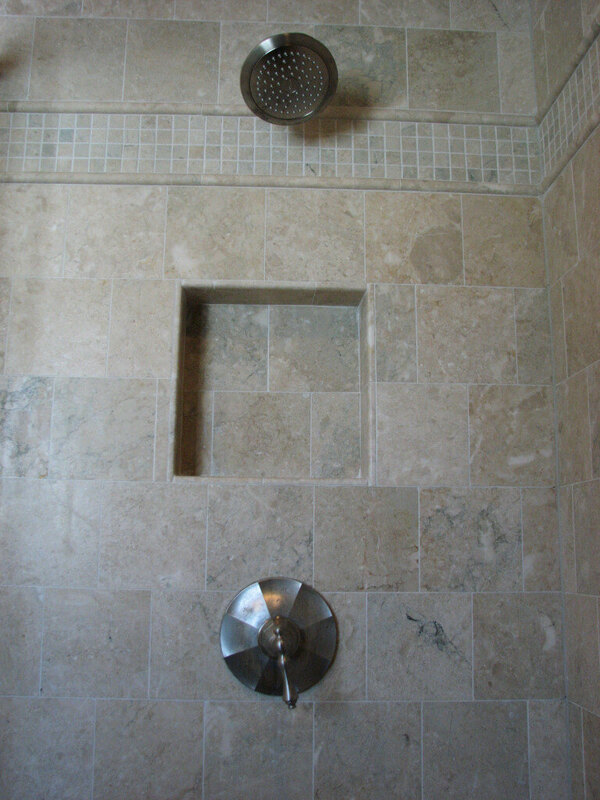 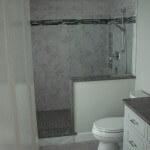 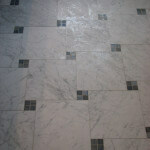 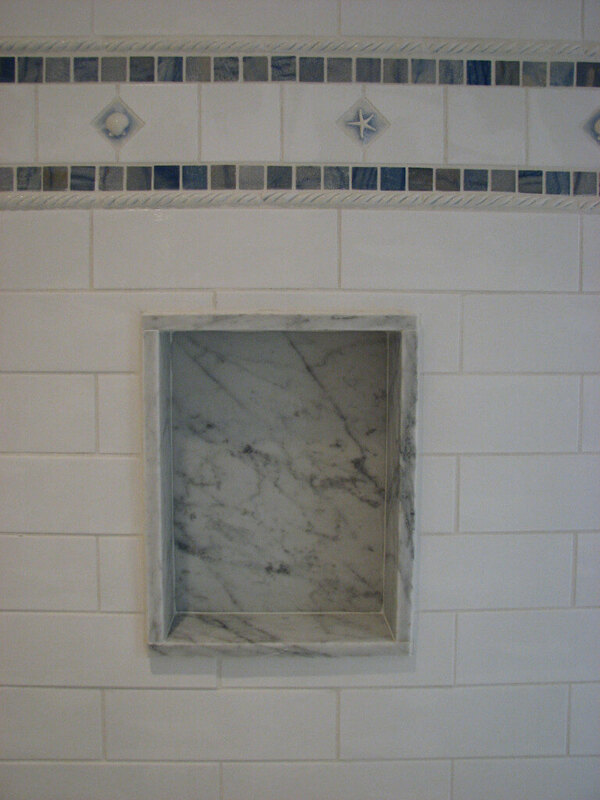 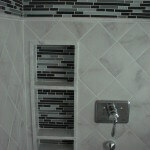 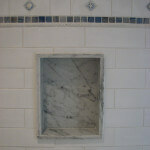 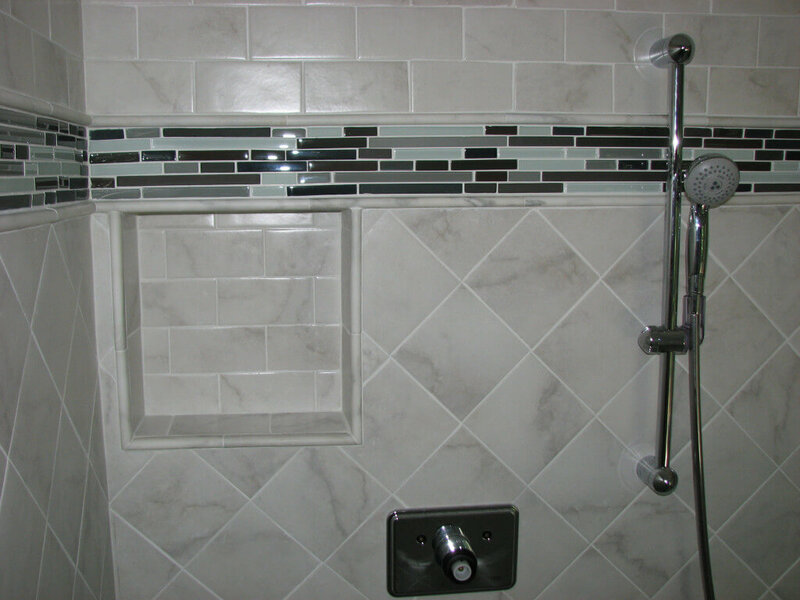 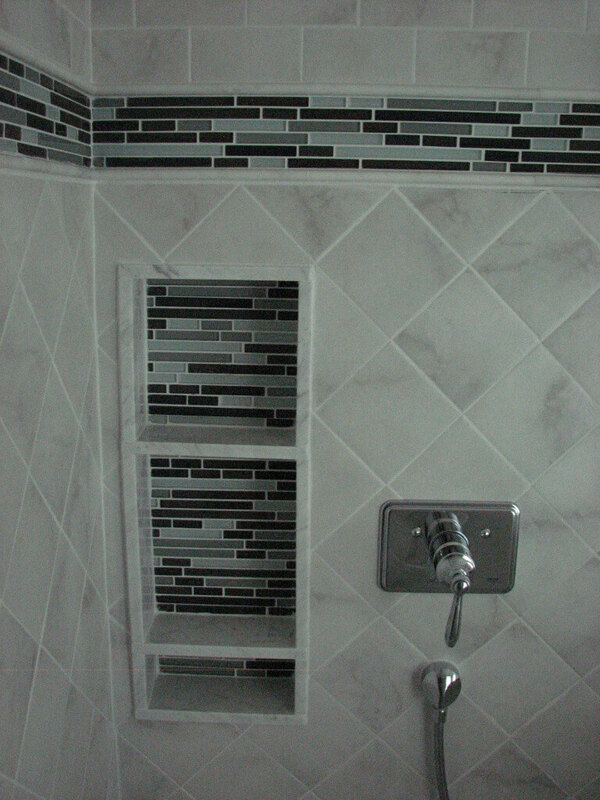 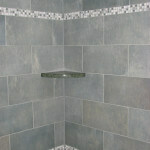 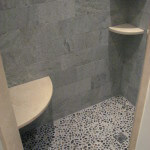 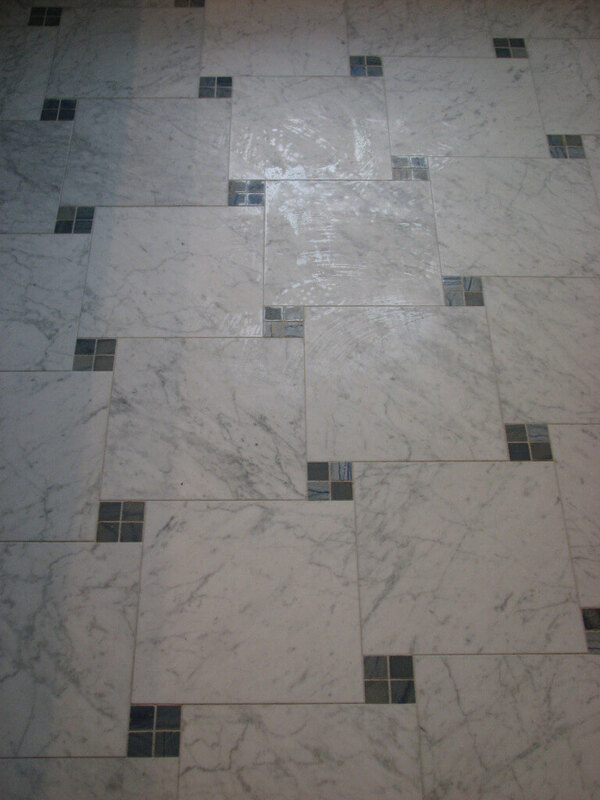 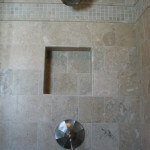 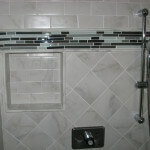 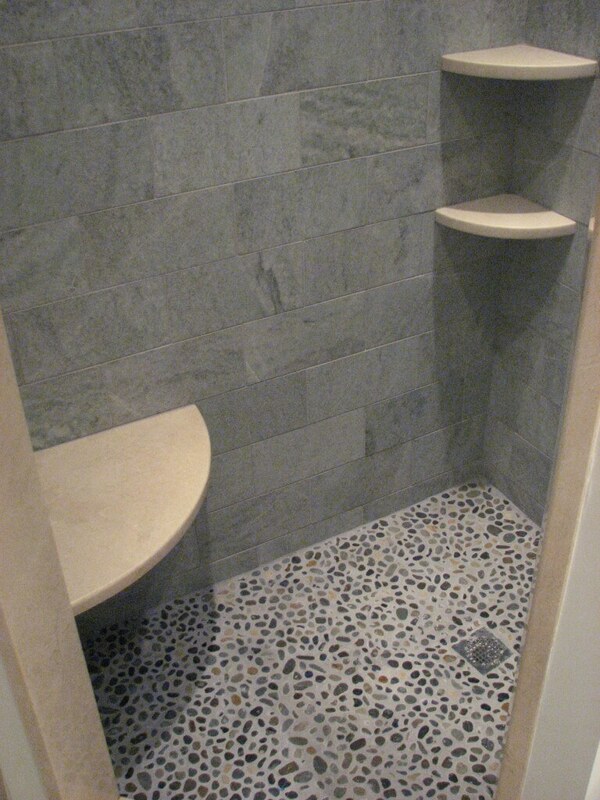 As a finishing touch we assisted the owner in selecting sharp looking accent tiles for the shower walls.